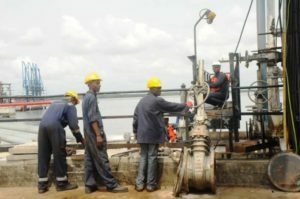 Nigeria’s government under a legislation—known as the Petroleum Industry Bill (PIB)—will soon create a powerful energy regulator with broad oversight of the oil and gas sector, local media reported. The governance part of the bill was passed by both houses of parliament earlier this year. According to Reuters, the draft laws, posted on the Nigerian parliament’s website on April 30, are the versions intended for the Senate, the upper house of parliament. Amongst other objectives, the petroleum bill seeks to introduce reforms that would improve transparency, attract investors, stimulate growth and increase government revenues. The bill further provides that upon the recommendations of the new commission, the Minister of Petroleum Resources can grant, amend, renew, extend or revoke any license or lease required for petroleum or production. The three PIB sections yet to be passed address fiscal and administrative issues and local communities affected by the oil industry. The inability to pass the law and uncertainty around taxation has stunted investment in the West African nation, particularly in deep-water oil and gas fields, according to Reuters. Nigeria was one of several African oil exporters hit hard when crude prices crashed in 2014. The International Monetary Fund said projects Nigeria’s economy will grow 2.1 percent this year and 1.9 percent in 2019. Posted by Khalid Al Mouahidi on May 11, 2018. Filed under News. You can follow any responses to this entry through the RSS 2.0. Both comments and pings are currently closed.